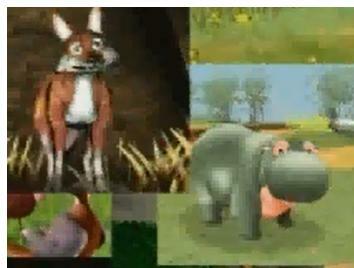 Discover the adventures of rhino, Alex and Emma as they explore the African continent in this thrilling adventure game. Park rangers will help you find and aid animals, but only you can rescue them from people whose only motivation is greed. Complete more than 90 missions and learn about the flora and fauna of each region. Meet animals including the lion, giraffe, rhinos, elephant, monkey, and more. 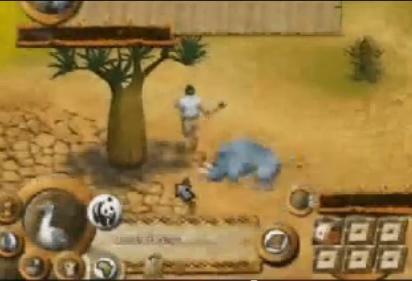 Safari Adventures is a beautiful, educational game for those who love animals and exploration! Learn about the animals and plants of Africa through great information provided by WWF. Make friends with over 50 animals including, rhinoceros, elephants, girafes, lions, cheetahs, and more! Dedicated to a young audience.